Tonight we are invited to Phuc's and Huyen's house for a Steak dinner. Phuc buys the best grade of beef that money can buy. We never say no to Phuc when he is preparing his famous steaks. Tonight is the first Saturday after Thanksgiving and most of us will need a break from Turkey so steak is definitely a welcome change to the Thanksgiving menu. 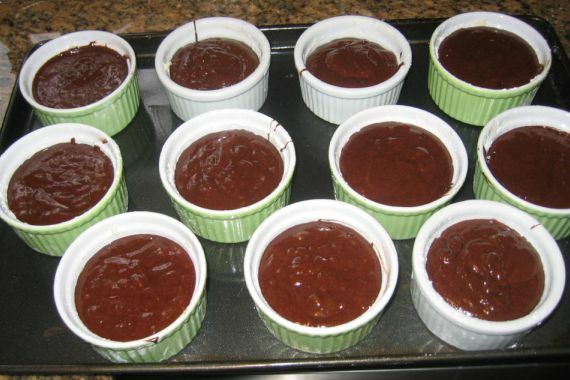 For the party I know exactly what to make! 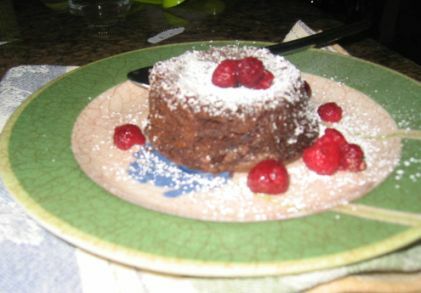 I decided to make a fallen Chocolate soufflé cake and a Grand Marnier soufflé.. 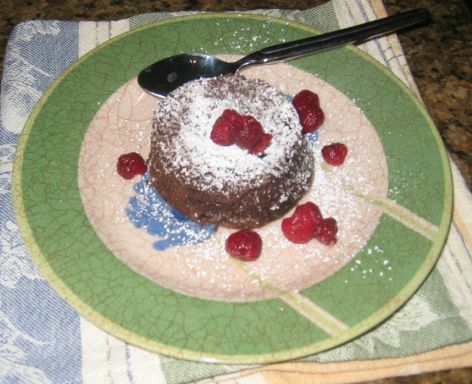 Fallen chocolate soufflé cake is actually a very light chocolate cake. 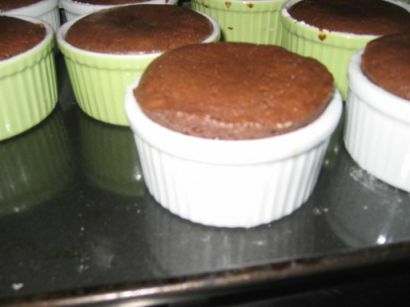 The cake is designed to be eaten once it has collapsed and cooled just the opposite of a regular soufflé. 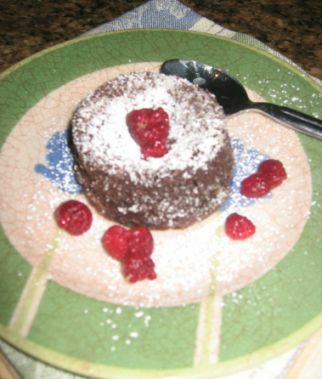 The cake taste even better when a scoop of vanilla ice cream is added on top of the cake. 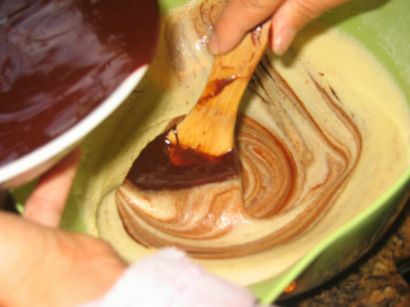 On the left the chocolate and butter is melted. 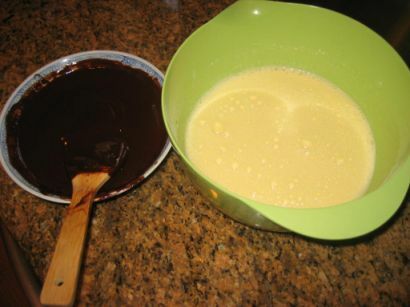 On the right, Egg yolk, sugar, milk, are whisked together. 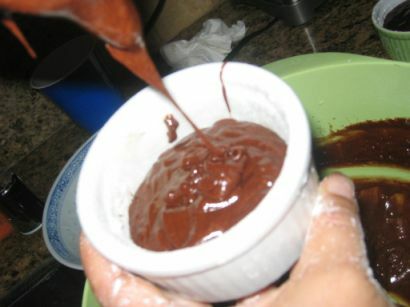 The melted chocolate is then mixed with the egg yolk mixture. 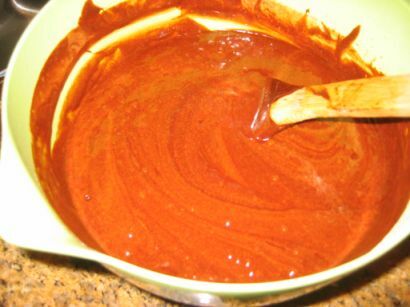 I am now pouring the mixture into a small ramekin. 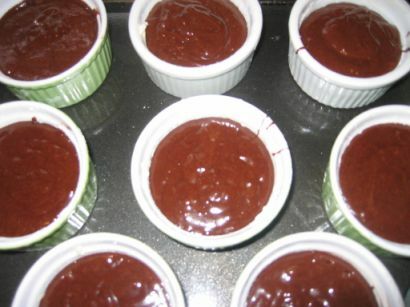 All the ramekins are now filled up and ready to go into the oven.